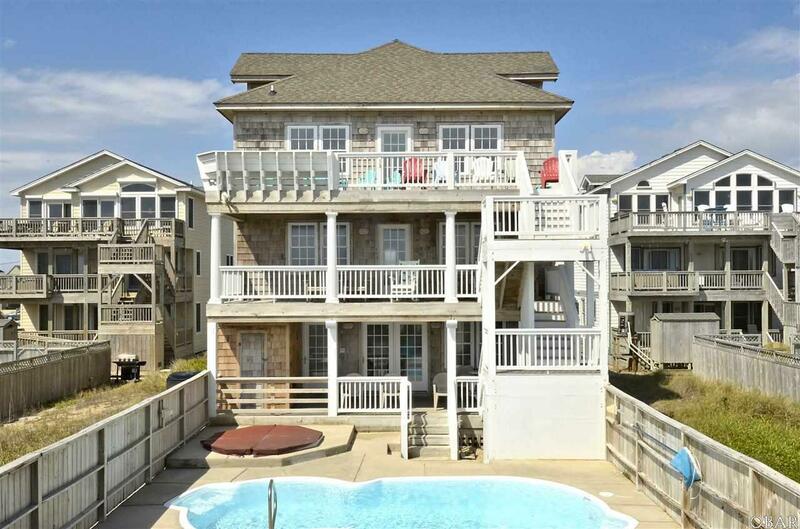 Are you looking for the perfect investment property on the Outer Banks? Well here it is, just take a look! 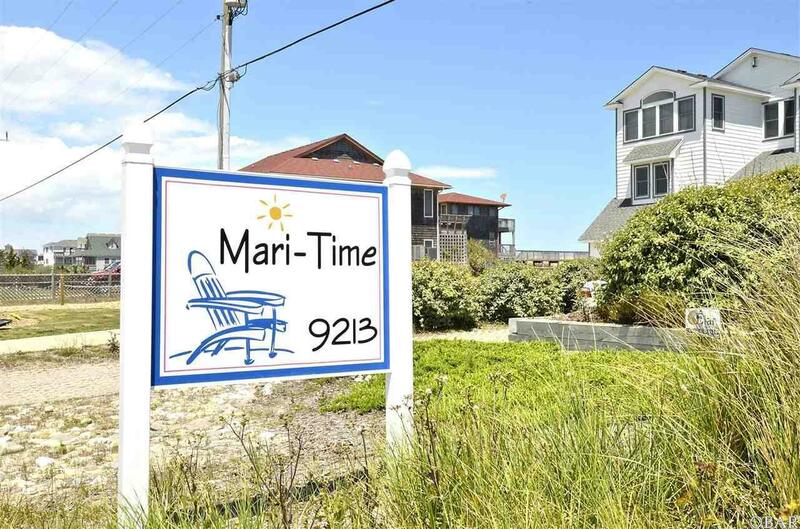 You can watch the sunrise and enjoy the Atlantic Ocean views throughout the day from this beautifully decorated, well-appointed Nags Head vacation home with plenty of room for a large family. 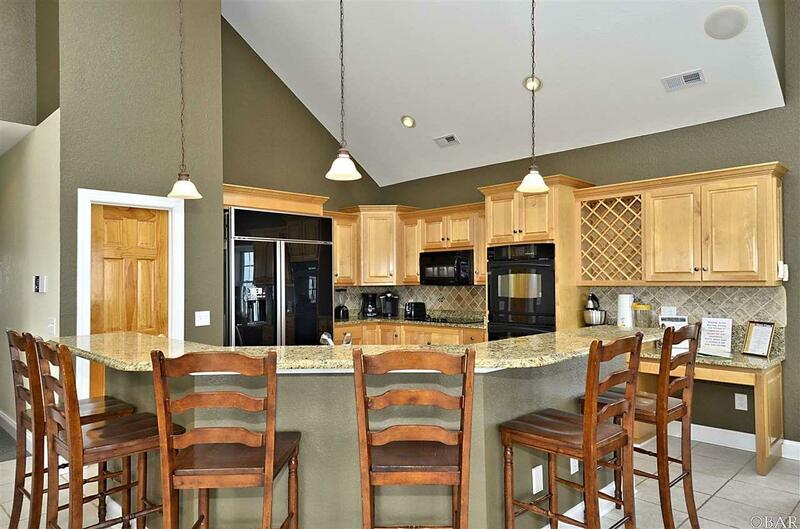 Fabulous fully equipped kitchen with 2 dishwashers, granite counters and subzero refrigerator. Sun decks to enjoy the warm weather and covered decks for your enjoyment to keep you out of the sun! 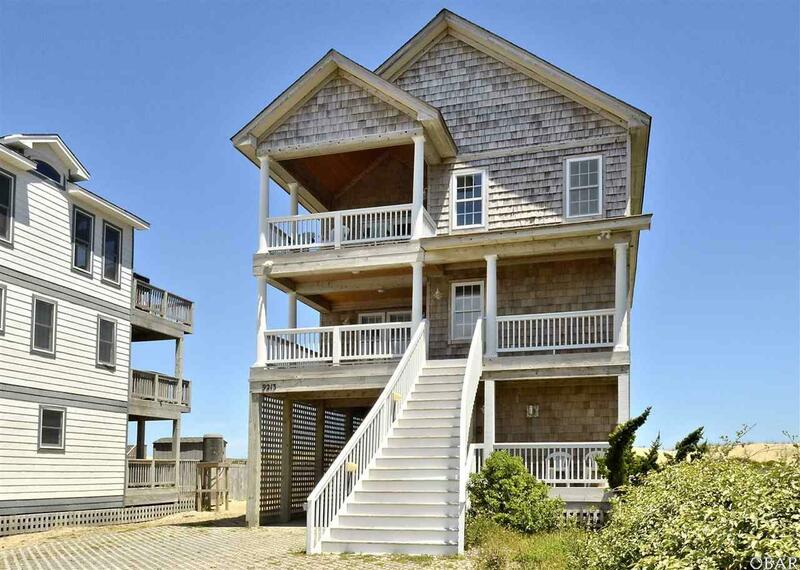 Spend the day in the private pool and hot tub or enjoy the ocean with an easy walk using the private walkway. Dont want to fight traffic? Spend the evening by watching a movie in the theatre room or shooting a game of pool in the rec room. This house has something for everyone!! Level 1: Master bedroom (Queen) with TV; Master Bedroom (Bunk w/Trundle) with TV; full hall bath; custom home movie theater with 42" screen; recreation room with wet bar and pool table accessing a 30x14 swimming pool and 6 person in ground hot tub; full size kitchen w/dishwasher, sink and fridge, microwave and coffeemaker; laundry. Level 2: Master Bedroom (King) with TV; Master Bedroom (King) with TV; Master Bedroom (King); Master Bedroom (Queen); oceanfront second living area equipped with a Sofa, 2 chairs, Game/Poker Table, Media Center, WIFI, large TV/ DVD; laundry with 2 large stack washer/dryers. Ocean views from this level on the deck. Level 3: Master Bedroom (King) with TV, deck access and whirlpool tub; Master Bedroom (King); Huge kitchen complete with double ovens, 2 dishwashers, 6 burner glass cooktop, granite counters, subzero frig and large pantry for storage plus Granite island bar for additional seating with 8 bar stools; Dining area with table and seating for 12; great room with gas fireplace, TV, DVD, stereo, gorgeous ocean views; half bath. Listing courtesy of Carolyn Hickok Bibeau of Elan Real Estate.